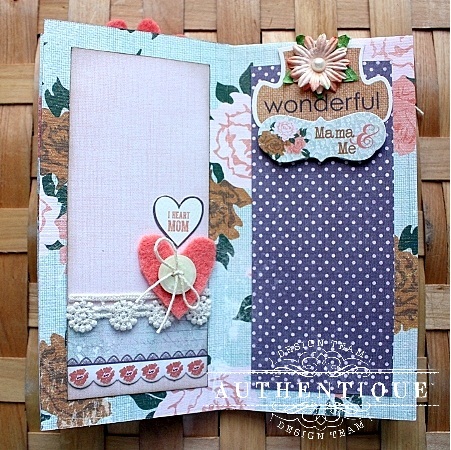 This mini album has been made with only ONE sheet of 12x12 patterned paper! I've used the gorgeous "Grace" Collection which is simply a must-have for any upcoming Mother's Day gifts. 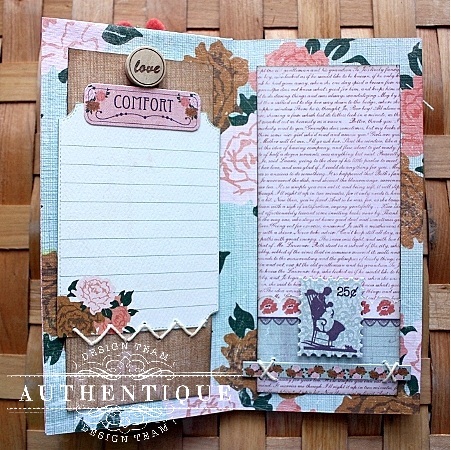 To start, we'll begin with a single 12x12 double-sided patterned paper (I've used Grace's Delicate); the quality of Authentique's papers are especially perfect for this project. 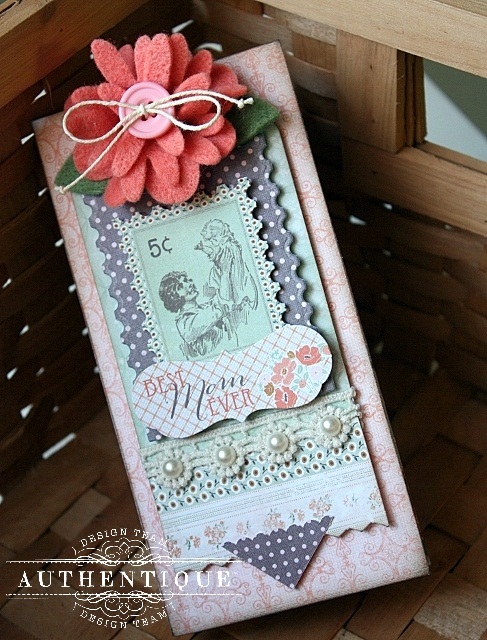 Next, you will need a scoring board and tool, scissors or paper-trimmer and high-tack adhesive. 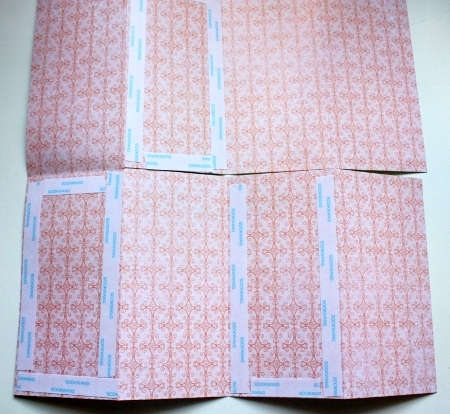 Score paper at 3", 6" and 9" marks; turn paper and score down the middle at 6"
Note the solid markings above are the score marks and the dash lines denote where the paper will be cut (although you will actually cut up to the 3" mark). still be intact at the top. 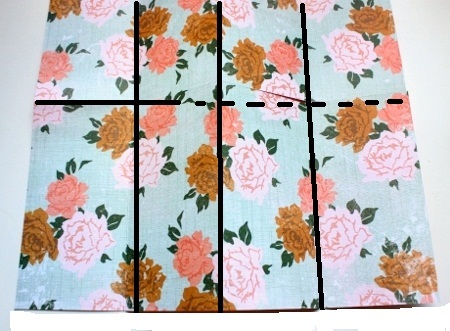 Next, you will want to grab the high-tack adhesive and attach to the back-side of the patterned paper as shown. We don't want our album to go awry, so pay special attention to which sides attach to which. Your album should now look like this. Time to start embellishing! 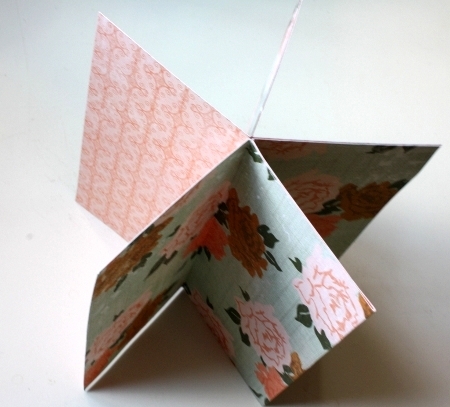 Here are photos of how I decorated the inside pages of my album. I incorporated all of the goodies from the Grace Collection: Foundations Cut-Apart 12x12 Paper; 6x12 Component Stickers and Puzzle Pieces. That's eight pages to add photos and journaling to! The finished album size will be 3"X 6" when closed. 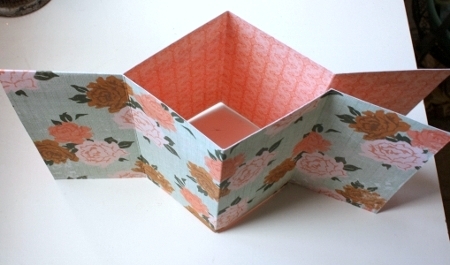 The 8x8 Bundle papers are perfect for making the page's mats from. I also distressed around the edges of the lighter colored mats with a walnut ink. I made this album over a month ago and it's still holding together beautifully. I have a brand new fondness for Sookwang Adhesive...this stuff is amazing! I purchase mine from Scrapbooker's Emporium. 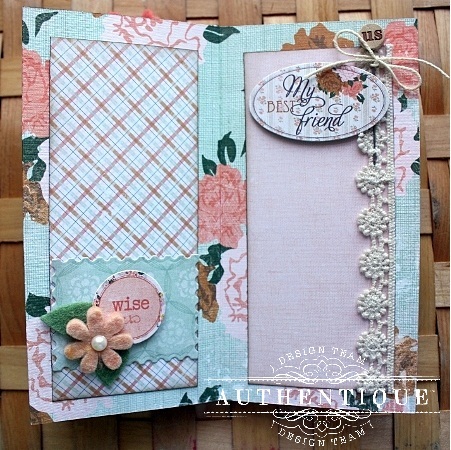 Authentique Products: Grace Collection- Delicate Patterned Paper; Foundations Cut-Apart 12x12 Paper; 6x12 Component Stickers; Puzzle Pieces; 8x8 Bundle and Paper Crafting Assortment. with Taylored Expressions' Design Team to bring two days worth of inspiration! I will be sharing on Friday, so I'll see you then!